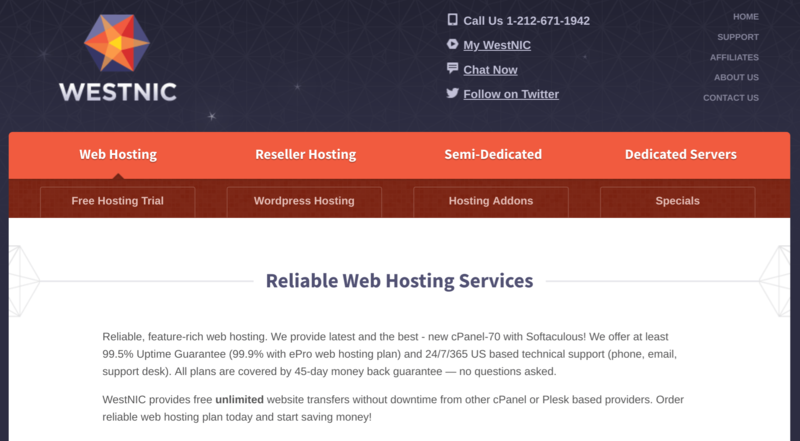 WestNIC Review 2019: Is WestNIC a Good Hosting? With world-class data centers and feature-packed hosting plans at affordable prices, WestNIC is one of the web hosts you should be watching. West Network Information Center (WestNIC) has been in the hosting business for quite some time, since 2002, and is based in two locations: New York, and Upstate New York (Westchester). You can host your server out of its world-class U.S. or German data centers, and additional Asian locations are coming soon. WestNIC’s website is in English. If you have the lofty ambition of running a large website with lots of traffic, you will be attracted by WestNIC’s unlimited resources. With its ePro plan, you can even run a small WHM-powered reseller business, or upgrade to one of the reseller packages. 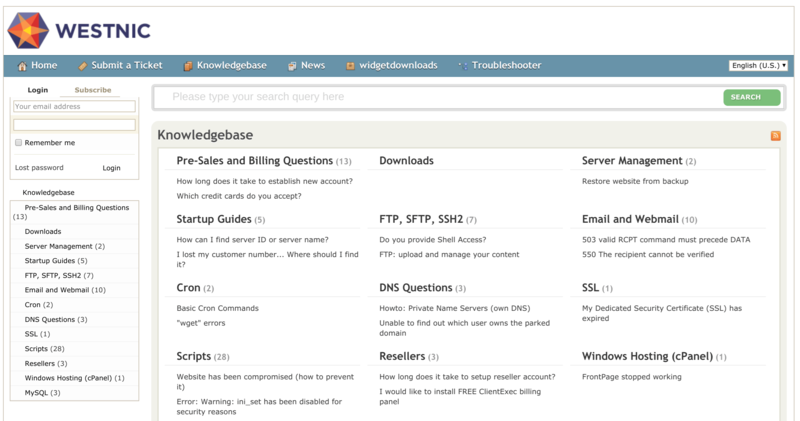 The cPanel control panel and Softaculous installer allow you to manage your hosting and install just about any type of hosting solution you want (e.g., WordPress) via hundreds of one-click installation scripts. Rather than just one choice of SSL support, WestNIC lets you choose from a range of SSL certificates with professional installation available. The more expensive hosting plans allow you to unlock some pretty unique features like Private DNS, DNS management, or separate SSL certificates for different websites. WestNIC’s high-class infrastructure includes Dell and Supermicro HEXA-Core 2U CPUs, SATA III Enterprise hard drives, and RAID-1 SSD storage. WestNIC’s hosting packages are incredibly affordable considering that they are priced normally rather than being offered at first-year reduced rates. If you factor in the fact that even the cheapest plan allows multi-site hosting as well as unlimited storage and bandwidth, you’ll be hard pressed to find a better deal elsewhere. And if that’s not enough, you also get cPanel and free SSL certificates for life, but apparently no free domain. Hosting plans can be bought on monthly, quarterly, annual, and biennial terms, with discounts of 5.04%, 20%, and 40% respectively for commitments of longer than a month. Not sure about signing up for a long stretch? Then you can take comfort from the generous 45-day money-back guarantee (to get you out if anything goes wrong) and the one-month free trial (so you can try before you buy). WestNIC provides 24/7/365 support which you can access via telephone, ticket, email, or live chat. At least once when I tried it, the invitation to “Chat Now” led to the ticket submission for instead, but this might have been a temporary anomaly. If you prefer to support yourself, you will find a reasonably well-populated knowledge base on the WestNIC website, but many of the entries are more like short FAQs than detailed tutorials. Despite offering features, resources, and services that you would expect to pay a lot more for, WestNIC somehow manages to deliver its hosting plans at very affordable prices. For feature-packed hosting packages at affordable prices, you’ll want WestNIC. Wondering how WestNIC stacks up against other Web Hosting companies? Enter any other Web Hosting company and we will give you a side-by-side comparison.